When I’m not reviewing music or cooking up works of fiction or blogging or watching bands or reading, I occasionally find the time for other activities. 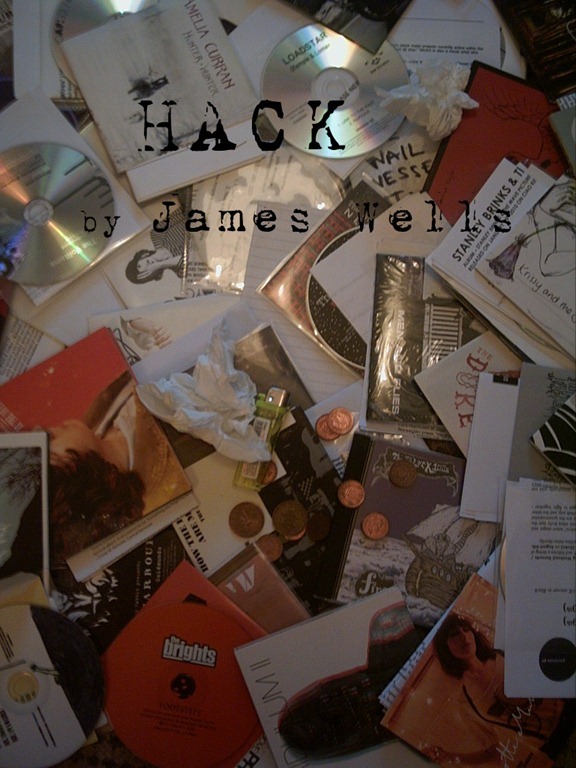 As I’ve designed one or two covers in the past, Stuart at Clinicality Press suggested that, having read through a couple of drafts of the forthcoming novel by James Wells, I might like to design the cover for Hack. And so I did. It might not be the finished article, it may not even appear on the published book, but here is it anyway. I also recently conducted an interview with London post-punk / No Wave band The Volitains for Whisperin’ and Hollerin’. You can read that here. Next Post …. And the Point Is…?